Named by his crew for the god of the underworld, Captain Hades was a man with hell in his eyes and hatred in his heart � Hatred for the Spaniard he had sworn to kill for the Queen Mary I. Now the Queen�s ward was his prisoner� Lady Katherine Winters had run away rather than be forced into an arranged marriage. 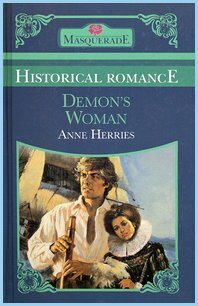 Kidnapped by the man all Spain feared, she had become the demon captain�s woman � But would she ever win the prize she most desired, and capture the pirate�s heart?